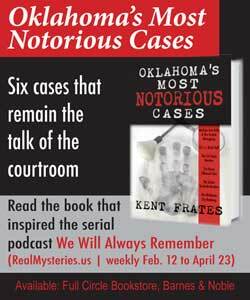 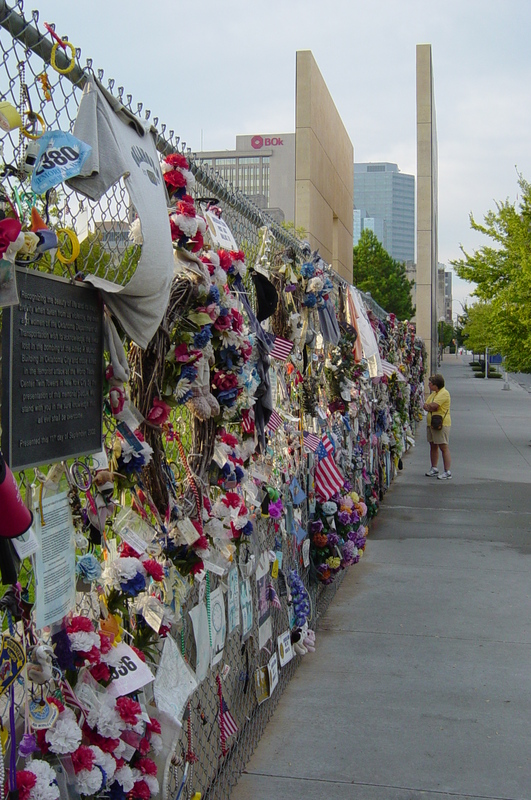 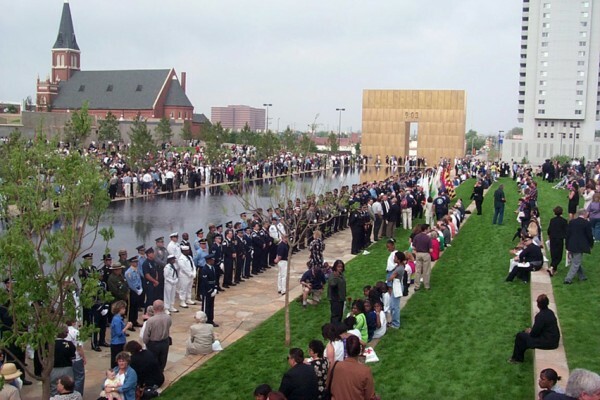 On April 23, 1995 a memorial service was planned for the survivors and family members of those lost in the Oklahoma City Bombing. 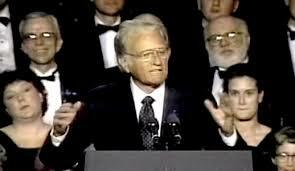 Cathy Keating worked hard to secure wonderful speakers including Billy Graham. “The anger you feel is valid. But you must not allow yourselves to be consumed by it. 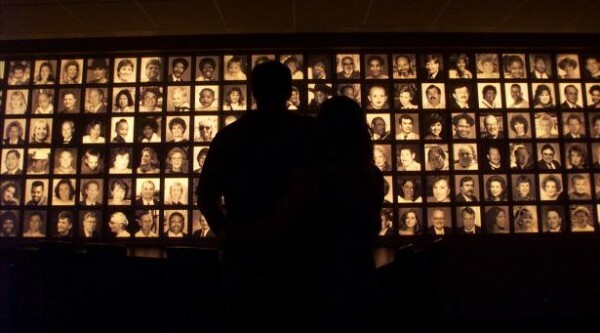 Do not allow your hurt you feel must not be allowed to turn into hate, but instead into the search for justice. The loss you feel must not paralyze your own lives instead you must try to pay tribute to your loved ones by continuing to do all the things they left undone thus ensuring they did not live in vain.” Words written by the widow and mother of three, her husband was on PanAm 103 when shot down and read by President Clinton during the memorial service. 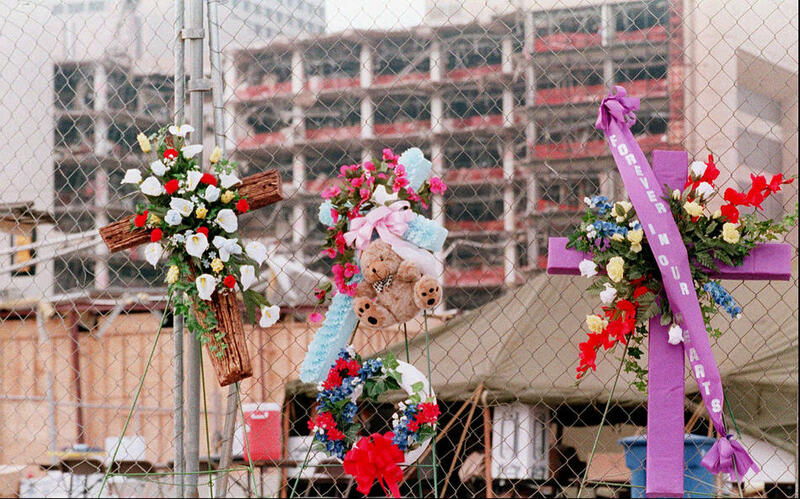 Ironically, the service was held on Timothy McVeigh’s birthday. 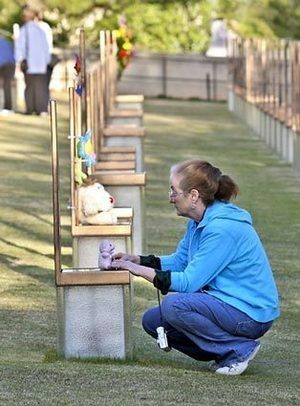 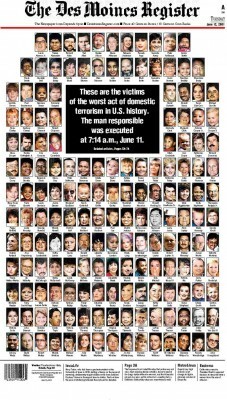 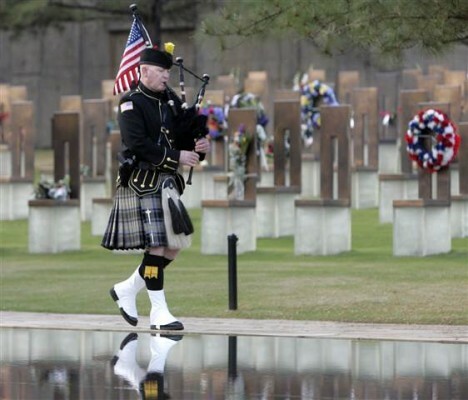 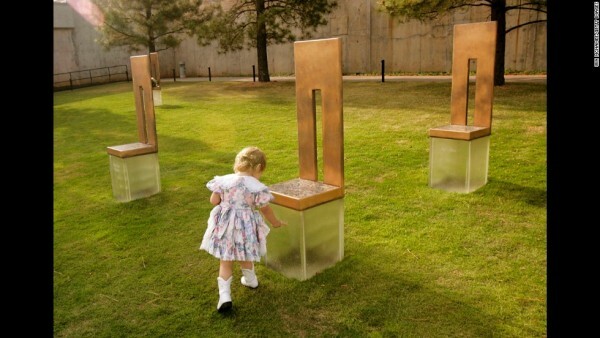 The Des Moines Register shares images of every life lost in the Oklahoma City Bombing. 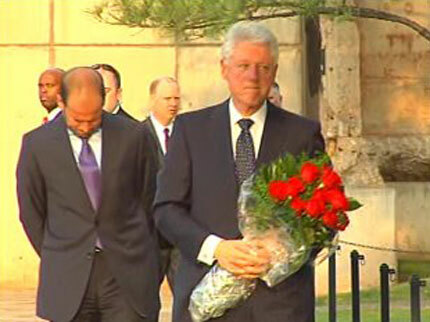 President Clinton reflects on a message being shared at the Memorial Service. 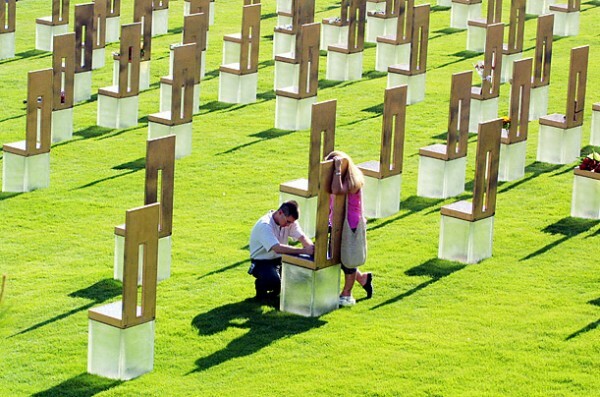 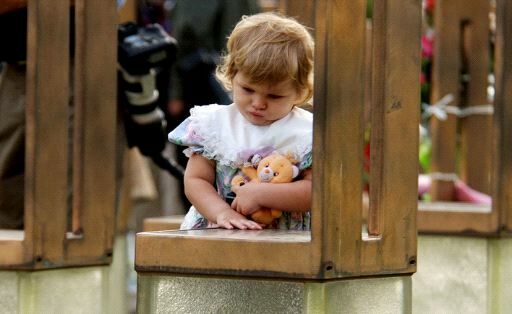 A little girl is captured in a touching moment while visiting the Memorial. A couple looks at the wall of those lost in the Oklahoma City Bombing at the Memorial. Family members mourn their loss while visiting the Memorial. A Memorial Service is held at the National Memorial. 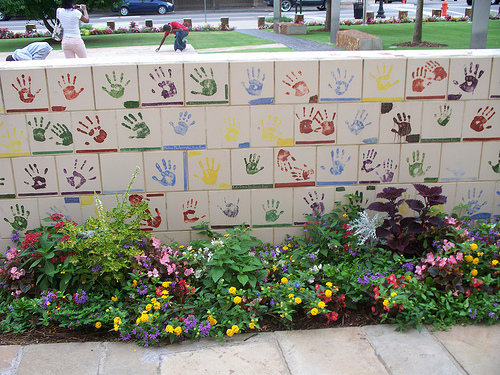 Hand prints for the children loss during the Oklahoma City Bombing at the Memorial. 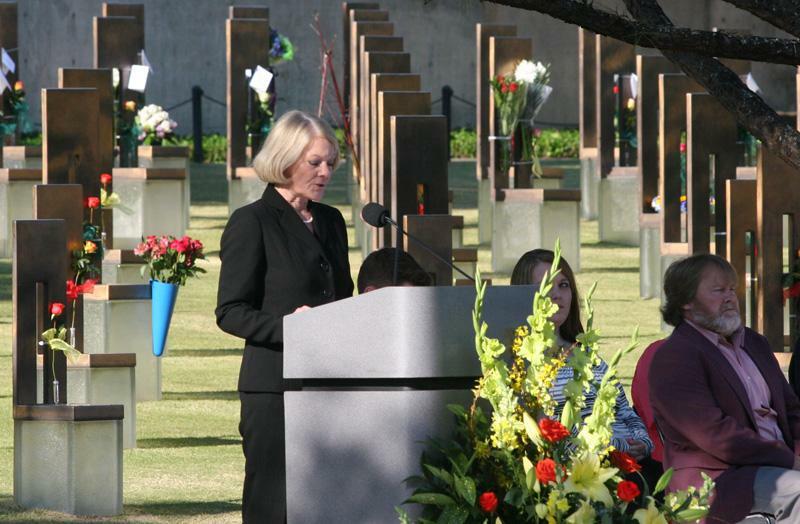 Governor of Oklahoma from 1995-2003. 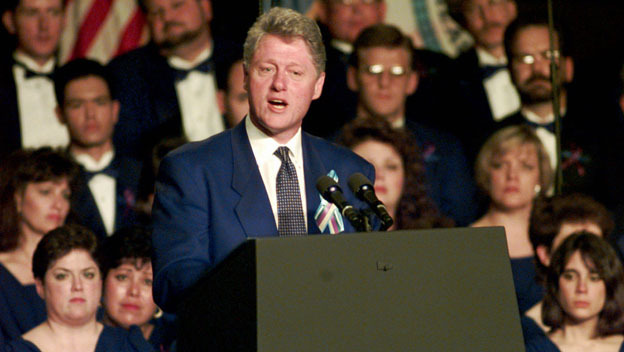 First Lady of Oklahoma from 1995-2003. 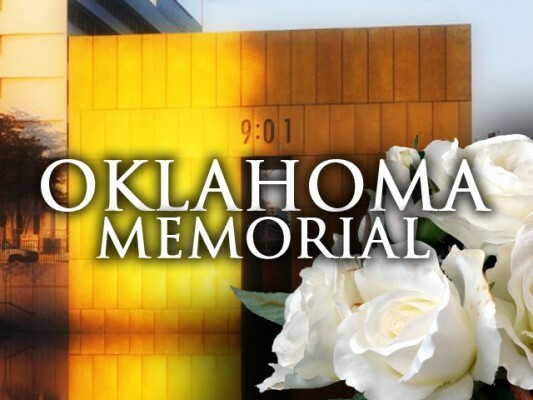 Edmond Police Department; has served as Crime Scene and Technical Investigator, Bomb Disposal Technician and Police Dive Team Instructor, and is the developer and Chief Instructor for the Underwater Explosive Recover Specialist Course.